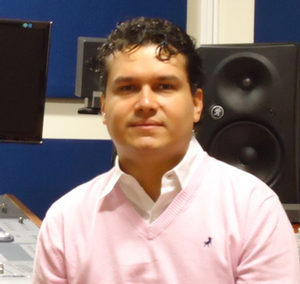 CARLOS CABALLERO, currently serves as head of the Department of Arts and Humanities in the Metropolitan Technological Institute of Medellin, Colombia, has a Bachelor of Arts in classical guitar at the Conservatory of the University of Antioquia, has a Masters in E-Learning Open University of Catalonia and a specialization in Audio Post-production for the Music Industry at the University of San Buenaventura de Medellín. He has over 15 years experience in the field of record production companies like Discos Fuentes and others as an independent producer. In addition to its administrative activities he works as a research professor in the areas of audio, technology and folk music also has extensive experience as a professional musician.